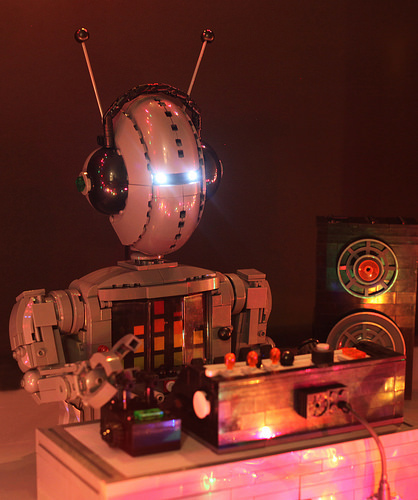 It’s Friday night–and before we get to our evening’s entertainment, DJ-3PO is spinnin’ the tracks with Logan (∞CaptainInfinity∞) and the Future of Music. This was built for the 2014 MOCalathon over on MOCpages. You can check out more photos over there! That’s some block rock’n beats!